When I lived in China, most Chinese people were poor compared to their American counterparts. People were considered well off if they owned a car or had an apartment with hot water on demand. in China, the wealthy class has ballooned. China is now in second place, after the U.S., for the most ultra high net worth individuals. And the wealthy class there is expected to keep on growing, with the number of Chinese millionaires expected to surge 41 percent to 2.7 million by 2022. Airbnb has been pushing hard into the Chinese market, adding 24/7 Chinese-language customer support and locally used payment options. At the same time, the number of Chinese visitors to the United States has been exploding, with more Chinese visitors than any other country except Mexico. If you own a vacation property in a popular Chinese destination, such as a beach suburb, or near a national park, you can make your listing more attractive to Chinese travelers by providing a high level of service, since Chinese travelers are more used to hotels than home sharing. Skiing didn’t really take off in China until the recent wealth boom, with the number of domestic ski areas rocketing to 568 from just six between 1996 and 2016. The run up to the 2022 Beijing Winter Olympics is further ratcheting up interest. The combination of booming popularity and a limited history means that ski instructors are in short supply in China. 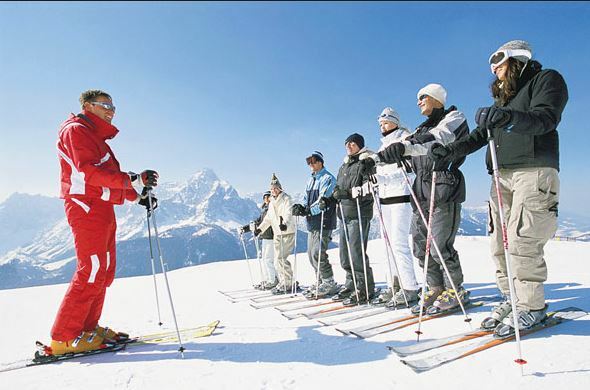 A Club Med recruiting pagepromises ski instructors who travel to China perks such as accommodations, meals, and free flights in addition to an “attractive wage.” How attractive? While ski instructors in the United States earn $15 to $20 an hour, in China you can make $20 to $30. Although speaking Chinese would increase your chances of getting hired, resorts are increasingly accepting that most available ski instructors don’t. The number of international students earning high school diplomas in the United States has skyrocketed over the past decade, and the trend is led by China, whose students make up 46 percent of all international high school students here. Some of these kids are in overseas boarding schools, but others are in private day schools and even public schools. These students need host families, who can earn $500 to $600 monthly per student for providing room and board. Previous Post How does A/B Testing work?